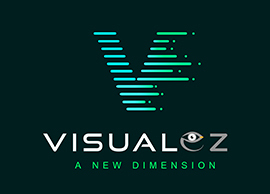 Why Visualisation solution is need of the hour for brands ? During many sales pitch to the brands for visualisation solution, I figured out most of them take the industry as it is and don’t want to experiment with consumer experience. 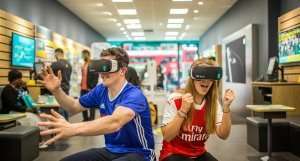 Many times we encountered that visualisation solution is seen as a marketing gimmick and not a purchase experience improvement tool leading to better sales. First, as a brand, you need to understand the importance of consumer experience at your stores. We believe that “Any company who out beats its competitor on customer experience, out beats its competitors on sales as well” that leads us mathematically that customer experience is directly proportional to sales. Just don’t take our word, the most impressing study to quantify sales with respect to customer experience has been done by Harvard Business School which shows the directly proportional relationship between sales and customer experience. As part of Indian startup community, I tried to cross-validate with major invested sectors and respectively funded companies, Say cab hailing service sector which has 2 main competitors that are Ola and Uber. Despite enormous funds with both the companies and Ola having first mover advantage, Uber outnumbered Ola within 2 years just because of customer experience. You can pick any sector and the story remains same everywhere. So, What stops your company/brand to increase customer experience? Mostly its the decision of the leadership team who eventually have taken problems as a non-solver and accepted the industry as it is. We at VisualEz make Immersive solutions for brands to give better customer experience at the retail stores of Home Improvement Industry (Presently Ceramic Tiles Sector).